To go to Miyako from Morioka. Other than driving there are 2 ways. Taking JR Yamada line or get on Iwate Kenpoku Bus 106 route express bus. The differents between train and bus are train runs less frequent and the first train is more late than bus. However you can’t use any JR passes to get on the bus. So you have to pay for a bus fare. 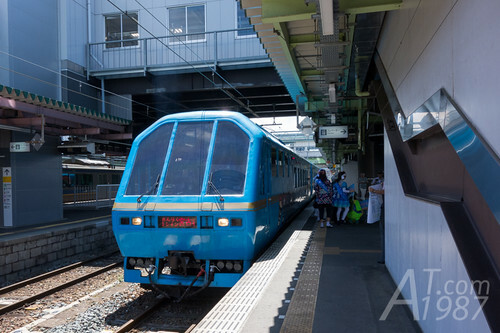 I found Sanriku Train Miyako that runs on the same route as JR Yamada line by chance. So I asked the JR staff when I made trains reservation if it’s possible to reserve this train. She said I can and reserve it for me. Since I spent most of time getting JR East gift while I was in Morioka Station. It’s almost departure time when I reached the platform. 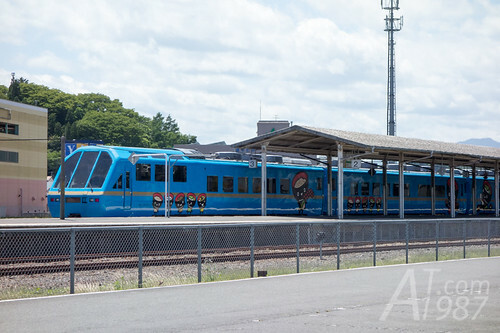 When I saw the train for the first time, I thought it isn’t a normal train. Maybe it is tourist excursion train. I researched for writing this post and found the information of this train. Kenji is diesel KiHa 58 650 model. It is named after Iwate famous poet Miyazawa Kenji. Since I didn’t research about this train before the trip. 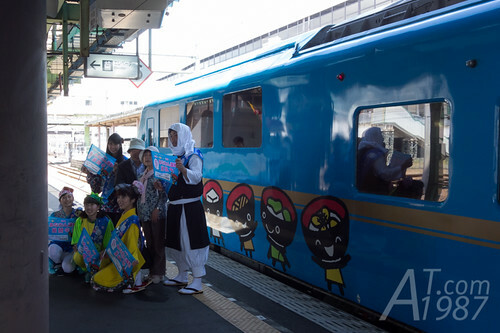 I didn’t know there were staffs in native costumes taking photos with passengers. 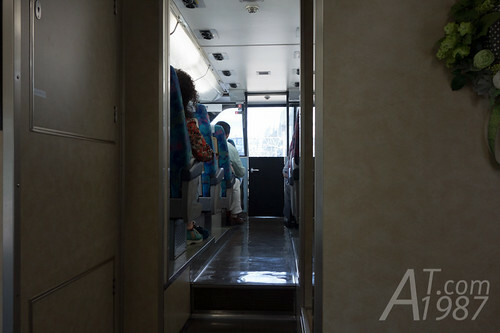 At that time I thought it maybe limited to some group of passengers and I was afraid of missing the train. So I didn’t join them. I was busy with finding the seat on the train. When I found my seat, the train was left the platform. I saw staffs on the platform waved their hands to passenger in the train. Interior is quite old. A television here is still CRT tech. 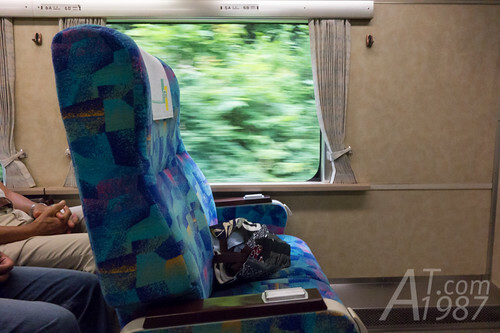 Seats are large and comfortable like seats in other trains although they look old. 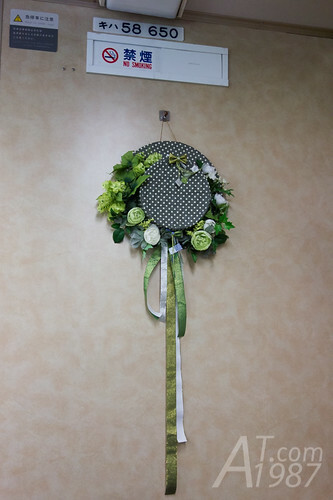 The decoration looked so classic. Like other tourist excursion trains. 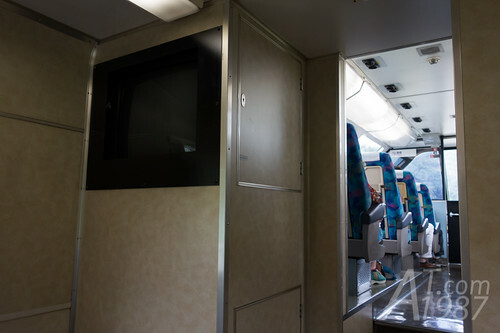 The windshield of the front car is a panoramic windows which allows passenger to see wider view. Let’s see the view in front of the train. Hi! This is really great. I wonder if you can add the train fare fees? I’m a fan of Amachan too. Thank you! I used JR East Pass so I didn’t pay for the train fare. From what I know the train fare may be the same as JR Yamada Line from Morioka Station to Miyako Station. You can check it on Hyperdia website.